Last week my hubby came home with a bag of mangoes that he had received from someone at work. 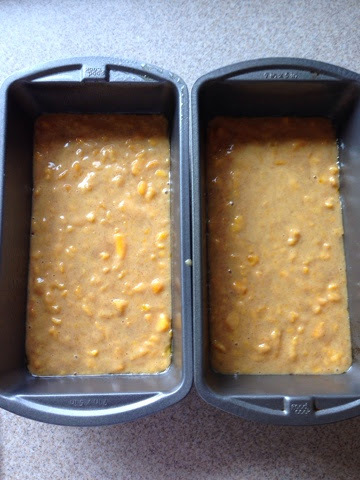 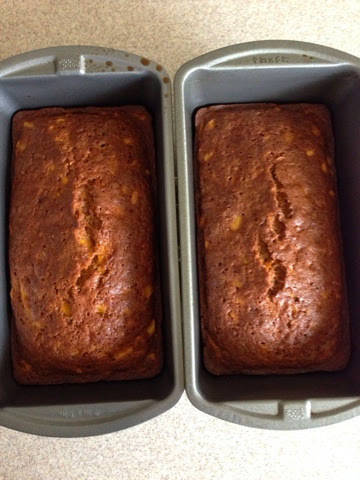 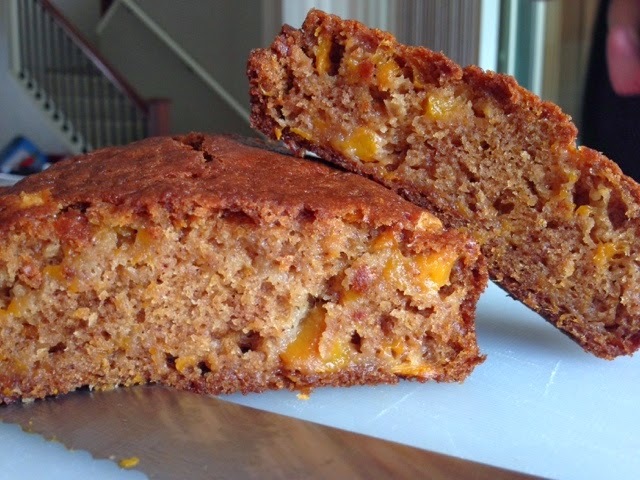 I initially thought about making mango cream cheese squares, but since I didn't have all the ingredients (and it's not as easy for me to run to the market now that I have two lil boys), I decided to make mango bread instead. 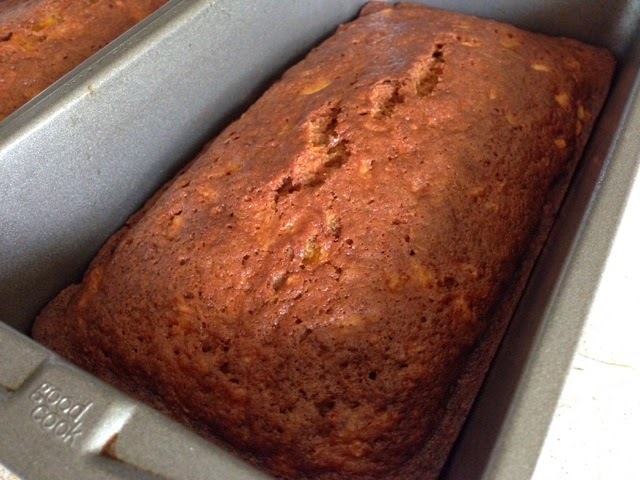 I found a easy recipe on the internet that called for minimal ingredients. Remove from oven and cool for about 10 min.